Prague-based development studio, ECA Games, has released screenshots and a trailer for its upcoming Trials-inspired physics-based motorcycle game called Rock(s) Rider. The game is currently scheduled for a Fall release and will be available for both the iPhone and iPad. Players will be offered a variety of options for their bikes and riders including the choice of either a male or female rider and loads of skins. 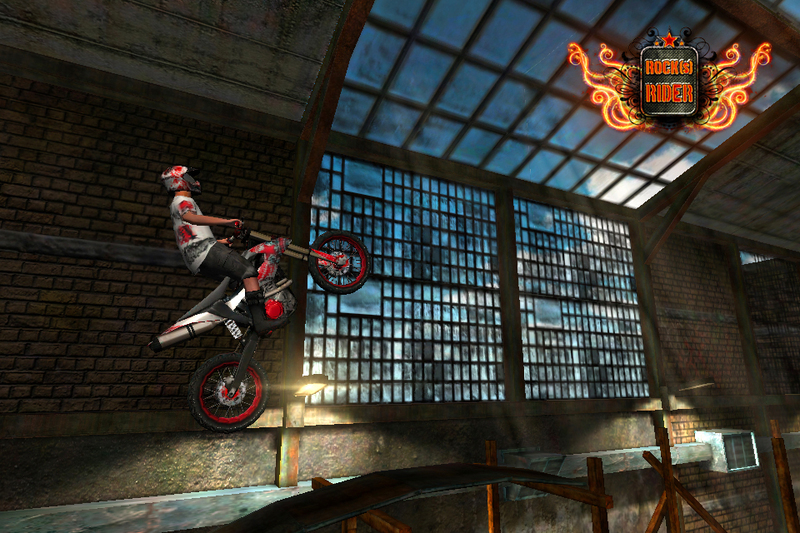 Stunt tracks will contain a number of challenging elements including ramps, tires, boxes and more wooden and metal constructions, as well as a variety of jumps and moving obstacles. Finding and collecting bonus objects will unlock additional skins and bonus tracks, helping to deliver a good deal of replayability.